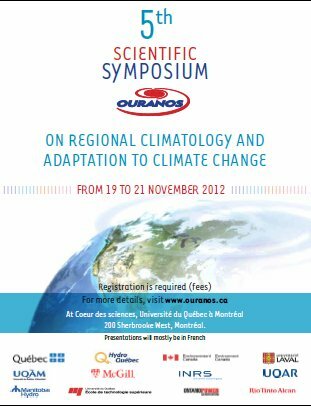 The 2012 scientific programme of the 5th Ouranos symposium is an opportunity to review the progress made in recent research efforts within Ouranos and its network. The symposium will feature a number of top-ranked speakers, and will also provide a chance to celebrate the first 10 years of our consortium's endeavours. - Celebrate the 10th Anniversary of the Ouranos Consortium.